All bidders agree to the terms and conditions as stated below.All bidders must use an assigned bidder number to purchase goods. Potential bidders must present a valid driver?s license in order to receive a bidder number. The auctioneer will strive to accurately describe all merchandise being offered for sale. Please examine all merchandise before bidding as items are sold as is, where is, with no guarantee either expressed or implied. 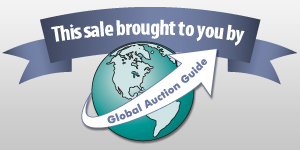 All announcements made from the auction block will take precedence over all printed material.ALL SALES ARE FINAL. No refunds or exchanges. Possession is transferred when you successfully win high bid at the time of sale.All sales are subject to a 10% buyer?s premium. All items must be paid for by end of sale via cash or pre-approved good check. All sales are subject to a 6.75% North Carolina sales tax. Exception to sales tax would be a current tax exempt form on file with Eaves Auction for you. There will be a minimum $25.00 service charge on all returned checks.Eaves Auction shall not be held liable for any loss or damage of merchandise left on premises. Any items left over 14 days will be subject to storage fees. Any items left over 30 days may be re-sold and any proceeds after commission will be applied to storage fees incurred.Auctioneer reserves right to settle any disputes at his discretion.Eaves Auction Company and its associates shall not be held liable for any losses including but not limited to fire, theft, accident or injury. Announcement:Information contained herein is presented on behalf of the seller. Eaves Auction Company, agent for the seller, cannot guarantee the information to be correct or assume the liabilities for errors and omissions. All lines drawn on maps are approximate. Buyers should verify the information to their own satisfaction. Any announcements made from the auction block on day of auction will take precedence over any matter of print and will be final.